Earn $1.14 in VIP credit (114 points)What's This? 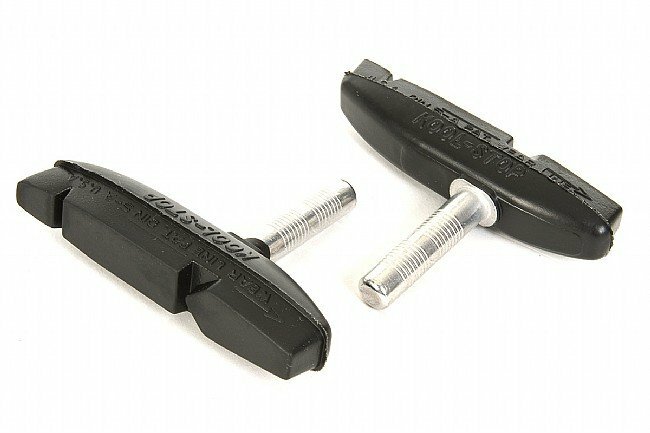 Replacement pad for cantilever brake systems with a rim friendly compound. Great for Cyclocross. Extended pad length and off center post design provides even wear for longer life. Angled plow tip for rain and mud removal. This also provides correct toe-in installation. Salmon compound is designed for wet and muddy conditions. Black compound for normal conditions. 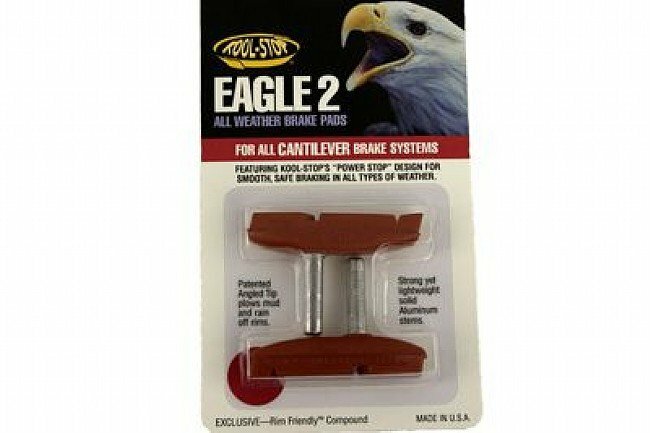 Includes 2 brake shoes to fit one brakeset. Choose from threaded or smooth post depending on what type of brake you have.